A new study adding to the large body of research on vitamin D and cancer suggests that higher blood levels of this vitamin link to lower colorectal cancer risk, especially among women. The study was published in the Journal of the National Cancer Institute (JNCI). 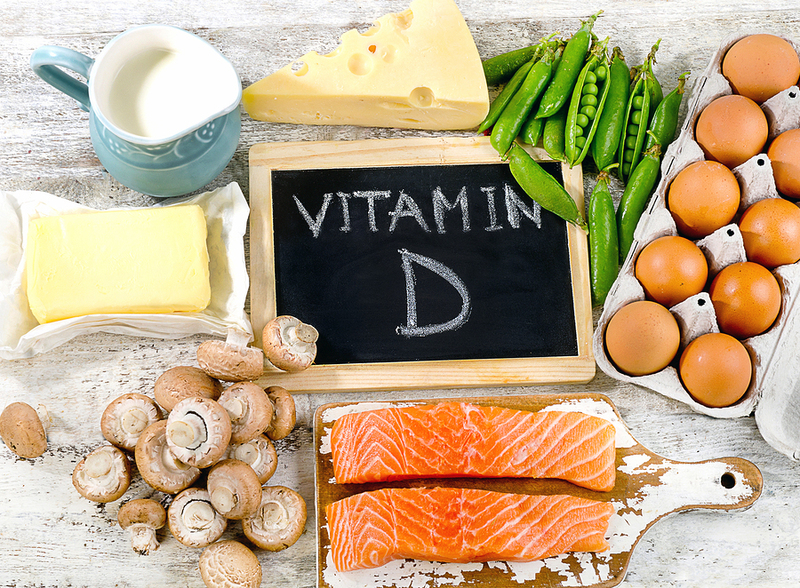 AICR’s latest report – an analysis of the global research published last month — found hints that vitamin D may lower colorectal cancer risk but there was not enough strong evidence to make any firm conclusion. It was categorized as limited-suggestive. This new study will be added to AICR/WCRF’s Continuous Update Project, a process that systematically collects then analyzes research related to how diet, nutrition, physical activity and weight link to cancer risk. Based on the analysis of evidence, AICR recommends not to use supplements for cancer prevention. 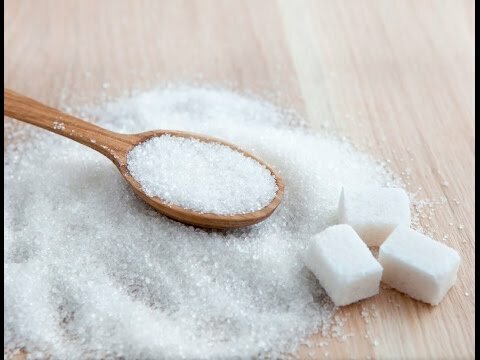 “The study is important due to its size and that it integrates data from multiple prospective cohort studies,” said Steven Clinton, MD, PhD, an oncologist and researcher at The Ohio State University School of Medicine who served on the Institute of Medicine (IOM; now called The National Academy of Medicine) committee to review dietary reference intakes for vitamin D and calcium. Clinton, who was not involved with this JNCI study, is also an expert panelist on AICR/WCRF’s newly-released cancer prevention report. Current recommendations for vitamin D are based only on bone health. The IOM report found there was insufficient evidence to connect vitamin D supplements to lower cancer risk. In the JNCI paper, researchers pooled participant-data from 17 cohort studies, including 5,700 people who had developed colorectal cancer and 7,100 people who had not. All of the studies had collected blood samples before participants were diagnosed with colorectal cancer. Blood samples were tested for 25-hydroxyvitamin D – 25(OH)D for short, a measure of vitamin D concentrations. The comparison participants were matched to those who had developed cancer, based on gender, age, date of blood draw, and other factors. The availability of pre-diagnosis blood samples is important because vitamin D status is dependent on dietary intake, supplement use and ultra-violet light exposure, all of which can be difficult to measure accurately. One challenge in investigating the impact of vitamin D on cancer risk is that different laboratory tests used for measuring vitamin D levels can give varied results, the authors write. This latest analysis used the same, widely-accepted test for all samples. We get vitamin D from food, particularly from fortified foods, supplements and sun. Foods high in vitamin D include salmon, swordfish, eggs, fortified milk and orange juice. After an average of 5.5 years follow-up, those who had vitamin D levels above the category recognized as sufficient for bone health had a 22 percent lower risk of colorectal cancer. This was after adjusting for known risk factors, including obesity, physical activity, and family history. There was no evidence of additional protection associated with the highest levels. The association was stronger in women than men. The results suggest that the optimal vitamin D levels for colorectal cancer risk reduction are higher than the current recommendations for bone health. Vitamin D is hypothesized to lower colorectal cancer risk via several pathways related to cell growth and regulation. Studies have reported vitamin D has anti-proliferative effects and it may improve large bowel immunity, the authors report. But eating these vitamin D-rich foods is just one part of a healthy diet and lifestyle, says Alice Bender, MS, RDN, AICR’s Director of Nutrition Programs at AICR. Colorectal cancer is the third most common US cancer and it is also one of the most preventable. 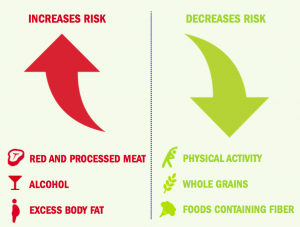 Healthy diet, physical activity, and weight management all contribute to reducing colorectal cancer risk. The JNCI paper was funded by National Heart, Blood, and Lung Institute and the National Cancer Institute Intramural Research Program.